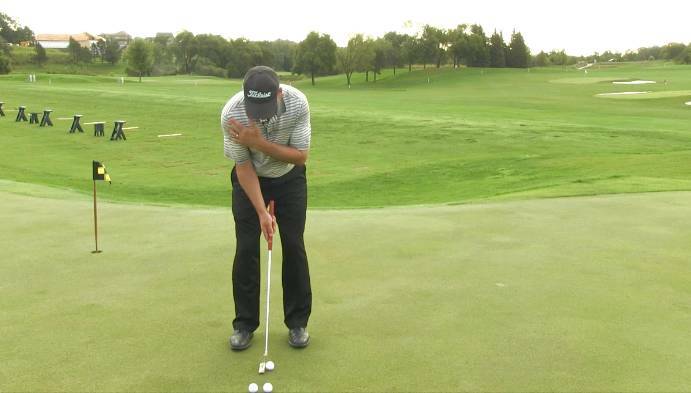 Getting proper consistency in your putting stroke is very important when finding success on the green. 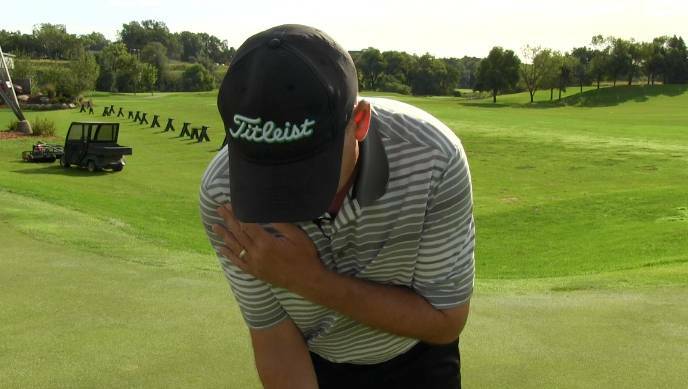 In this segment of On the Lesson Tee, Todd Kolb is back to explain a common problem amateurs make in their putting stroke, and why using your hands and wrists too much can create an unreliable putting motion. Hello golfers, PGA Professional Todd Kolb here with another segment of On the Lesson Tee, and today I want to talk to you about the putting stroke, and what can we do to become a really good putter? Now, the most common mistake that as a golf instructor I see when it comes to putting is people get very wristy or handsy with their putting stroke. And when you putt, you need some source of power. Now we don’t want that power source to be the hands; we want the power source—in my opinion—to be the shoulders. So this simple drill is going to help you do that. You’re going to take, of course, your putter, grab a couple golf balls, and you’re going to hold the putter in your dominant hand. So for a right-handed golfer, I’m going to hold it in my right hand. I’m going to make sure that my right arm is nice and snug into my side, and I’m going to take my left hand and I’m going to place it on my right shoulder. And what I’m going to feel is I’m going to feel my shoulders actually turning as I hit a few putts; and your focus and attention should be on the shoulders rotating and turning in your putting stroke, versus the arms and the hands. Because when you putt, and when your power source for your putting stroke is your shoulders, the arms and the hands can become very passive. So one of the keys to having a great putting stroke is to putt with your shoulders; this simple drill will help you do that, and I know that if you can start to putt more with your shoulders and get those hands out of there, you’re going to make more putts.